Over three decades ago, before crafting their first vintage, the Duckhorns and their winemaker had a passionate discussion at the kitchen table. Though they debated making a cuvée, they chose to focus on varietal wines. 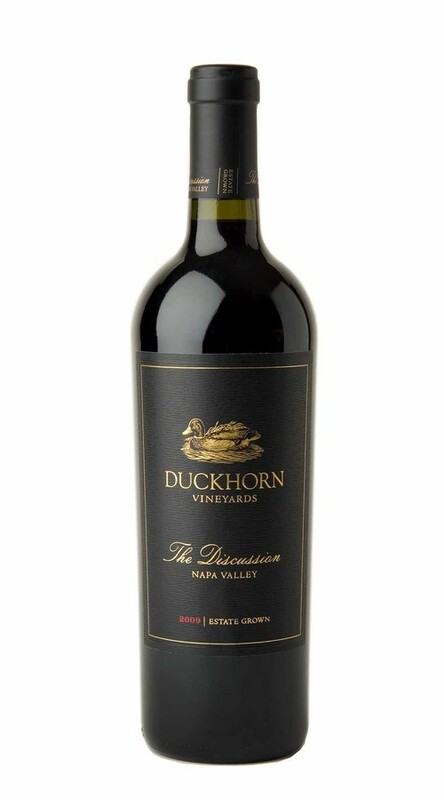 Even so, Duckhorn Vineyards has always remained fascinated by the artful blend of varietals from diverse Napa Valley vineyards. Embodying the depth and complexity of a worldclass Estate program, The Discussion represents the pinnacle of the Duckhorn Vineyards portfolio and the ongoing dialogue that defines great winemaking. The Discussion was blended using the very best barrels of wine from the finest blocks of our estate vineyards. While this wine is abundantly rich and flavorful, it is defined by its refinement and complexity. Aromas of mulberry, plum, leather, cassis and cocoa offer a beautiful prelude to a rich, velvety mouthfeel with fine-grained tannins. These tannins provide lovely structure, and underscore the layered sophistication of the blackberry, cherry, rose petal and red currant flavors. Elegantly integrated oak adds hints of clove, pencil shaving and roasted chestnuts, while providing length and dimension. Fantastic wine, I wish I had a case in my hands right now!